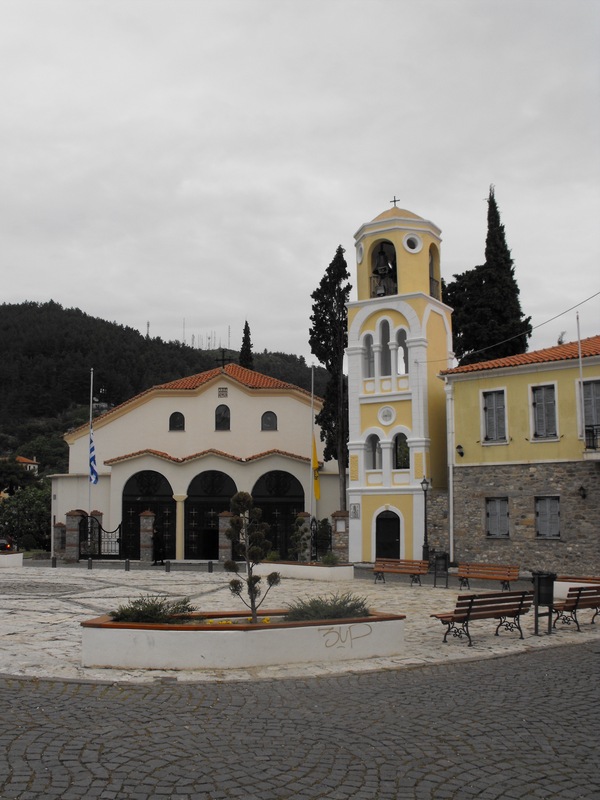 Greece is the word: Xanthi! Xanthi, a city in North East Greece! When you first arrive it looks like any other city, outskirts full of out of town shopping and suburbs, but it holds a secret and you need to head into the centre to find it. 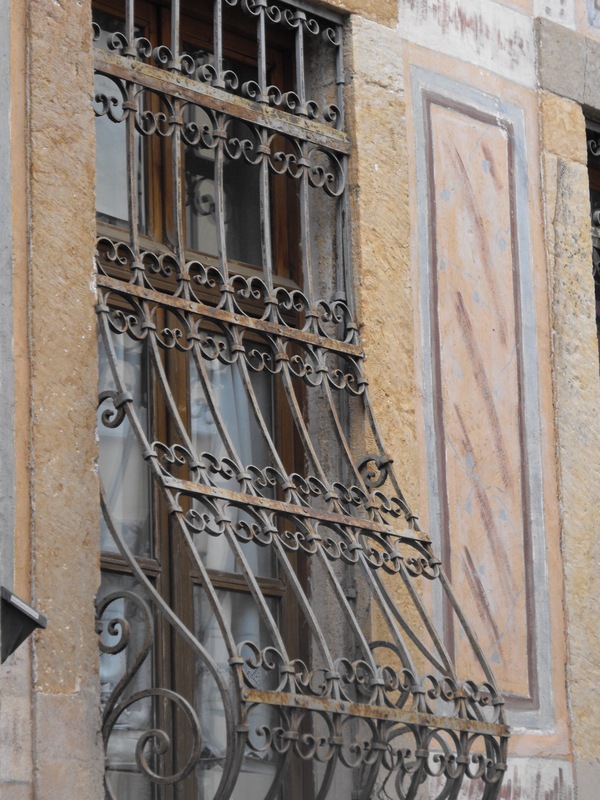 Now let’s not kid on, Xanthi is like many other Greek Towns and cities, it is suffering, closed businesses and shops are everywhere but it is still a bustling city full of people trying to make a living and coping with what the world is currently throwing at them. Our hotel had seen better days but the rooms were clean, the showers hot and the breakfast not too bad. We arrived on the evening of Greek Holy Thursday after a long, hot drive through some stunning scenery. 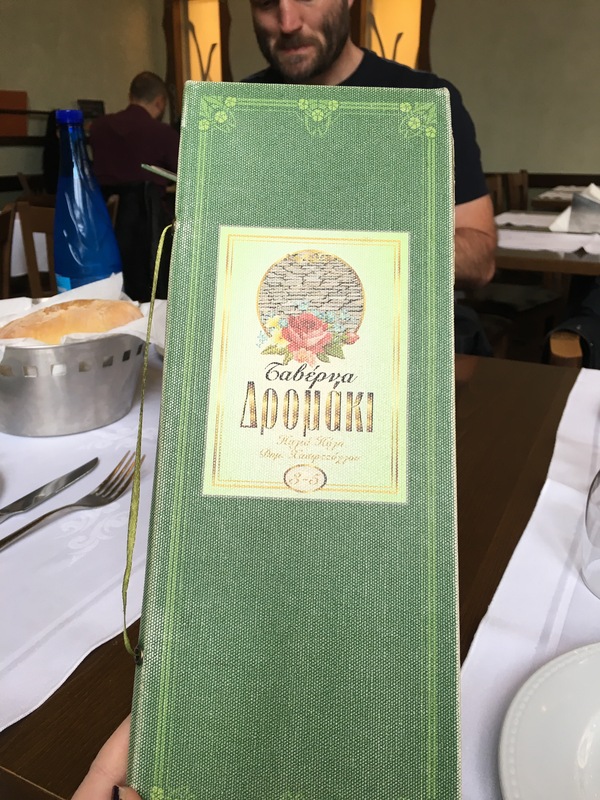 We headed into the city centre to explore a bit and found it to be full of the small shops we have come to expect in Greece, and yes, the smell of food was everywhere. 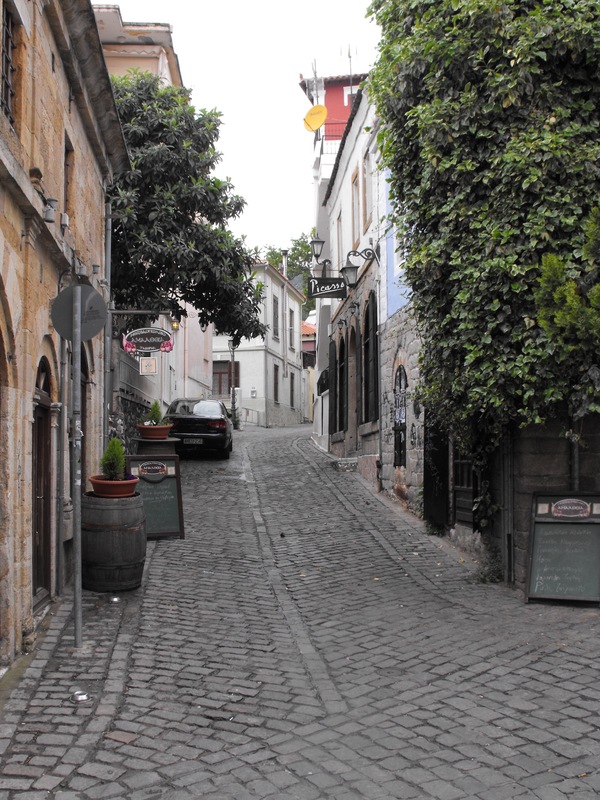 Now Xanthi has a surprise for visitors, all of a sudden you leave the modern city and you are in the Old Town, perched on the hill with the most amazing cobbled streets, full of buildings and sights that are a photographers dream. Yes, it is rundown in parts but it is full of character with many cafes and restaurants to eat and drink in. From the modern to the old school, it has it all. The food is superb, my tip is to look where the families or older people are eating! 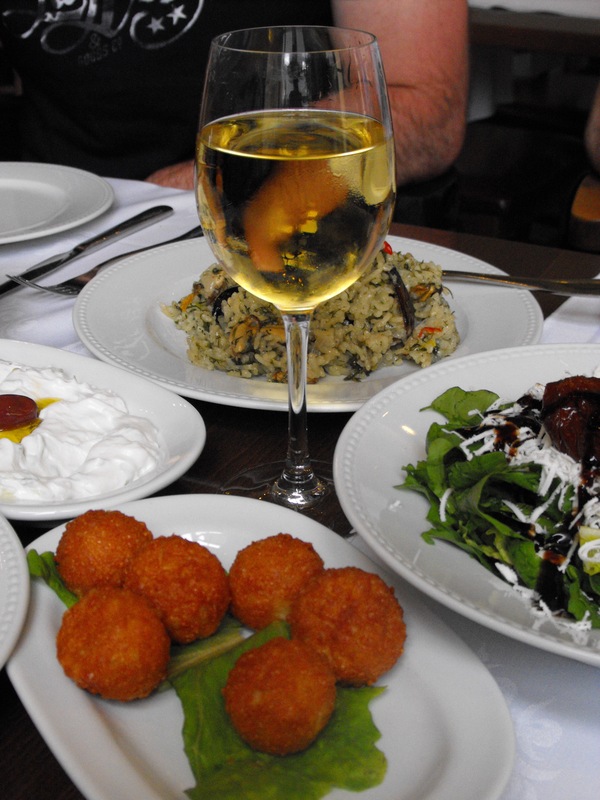 Try the more modern places but if you want the really good “home cooking” experiences try the the traditional taverns first. Now for you shoppers out there Xanthi has a wide range of foodie shops, from the most amazing variety of freshly roasted nut stores to stores that ground their own fresh coffee. “Delight” and sweetie shops with an unbelievable choice, forget your Fry’s you know what Delight, these treats knock it out of the water. And again there are the bakeries and pie shops, a stunning patisserie with a queue that was out the door, to fruit and veg places that would make your eyes water with choice! Again like every other city there are the stray dogs and the beggars but just be sensible and don’t do anything stupid and you will be fine. 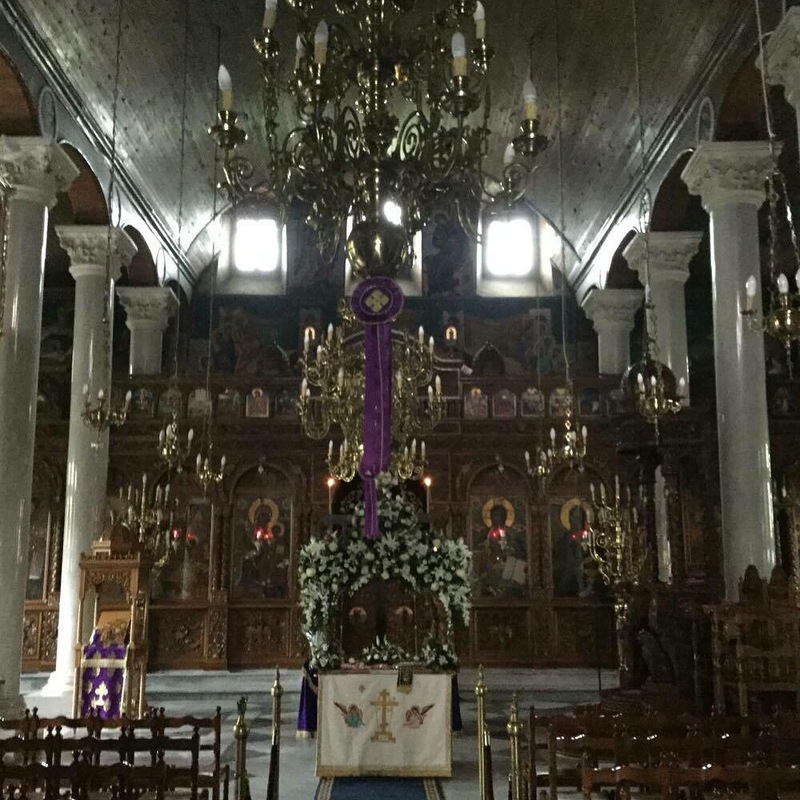 Let’s roll forward to the next day, Good Friday in the Greek Orthodox calendar, we woke to the sound of the “sad” bells, this was something I had heard about but never experienced and it was genuinely moving. Wherever you went in the city you could hear them, tolling out the sound of Good Friday. Inside the stunning churches were all very still and quiet. Stunningly decorated plinths holding the precious books and words the Greeks showed great respect to. 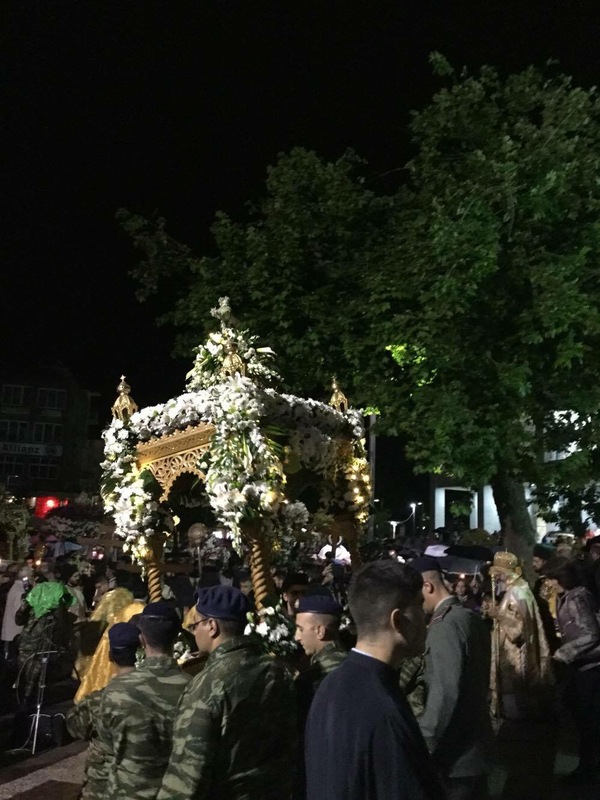 I want to fast forward a bit though because after a day of wandering around the old town again, later at night I had the joy of taking part in the Good Friday procession and I urge you, whether you believe or not, if you are ever in Greece at this time, go watch! At least 12 other plinths all beautifully decorated, each with people and clergy walking behind it. But as we stood and watched them gathering, the crowd parted to let the army through, along with dignitaries and other people holding some kind of public office. 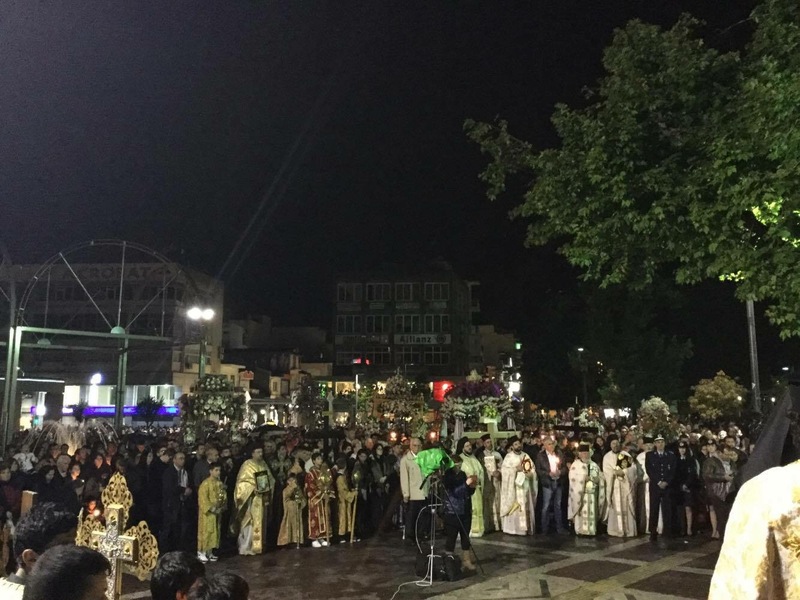 The ornate crosses and garments worn by the clergy stood out in the dark rainy night and even the drizzly rain did not curb the atmosphere that had built up. Now whether you believe or not, you could not fail to be in awe of this amazing sight. I am only sorry that my camera decided to pack up so the photos do not do it justice. 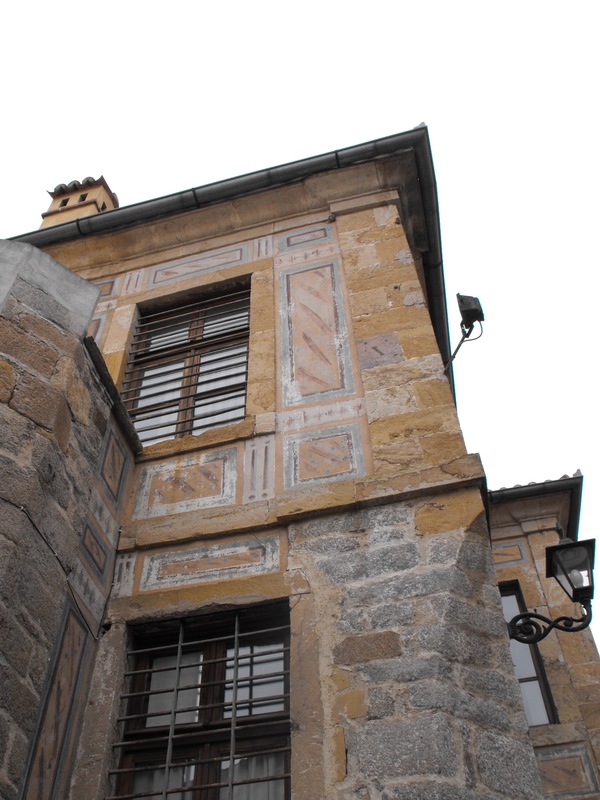 Xanthi has a surprise in the old town, go spend the day there and enjoy the experience! Next ﻿A House Divided or is it all PR? 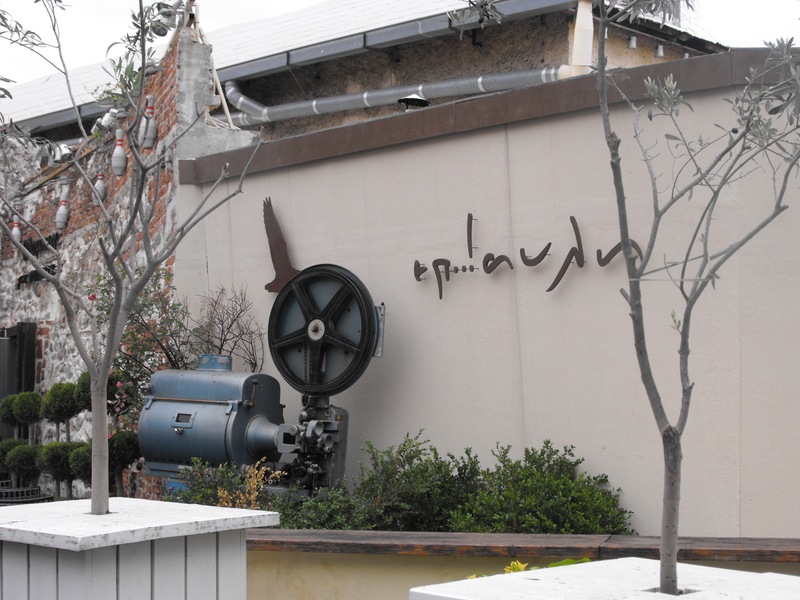 Xanthi is a very intresting destination as many different things going on through out the year. 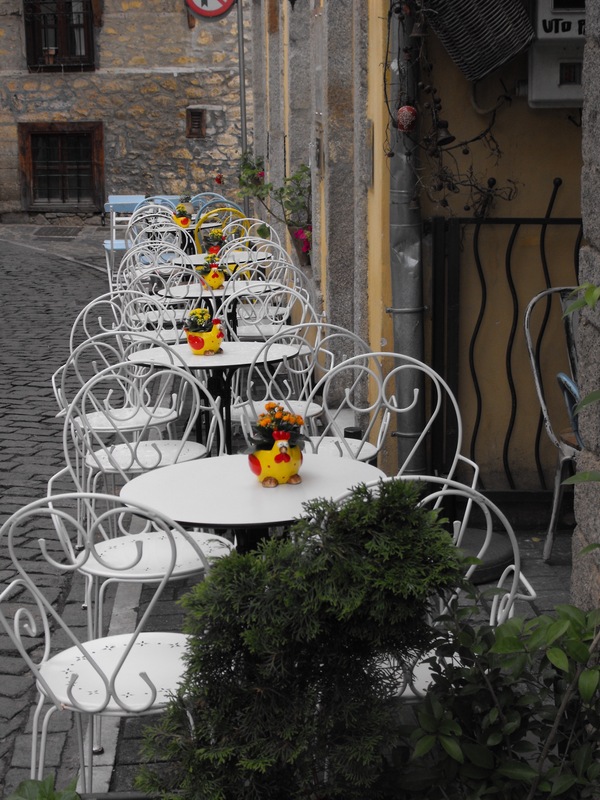 In September we have the old town’s festival ,in April the carnival takes place and other more. The sea side is just halph an hour away and the closest mountain just 20 minutes. You can do canoe kayak on the river Nestos and the night life is apsolutly amazing. Defently worth visiting !!!! !